Traditional and economical African Jewelry! You can see a huge selection of African bracelets, African necklaces, and African earrings for you to own. You will be able to put together an African jewelry set for every day of the week! 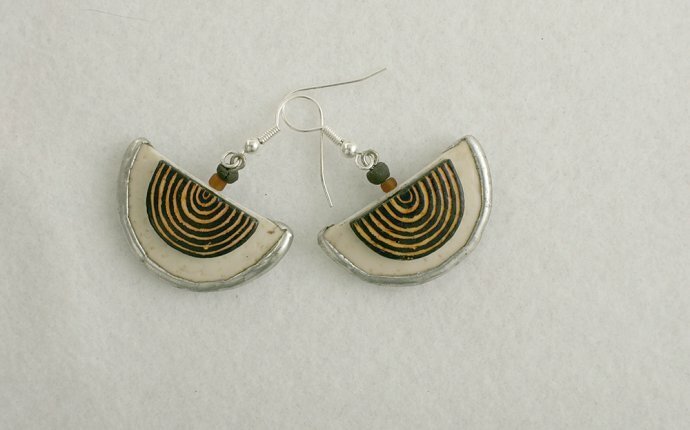 Almost all of this African jewelry is handmade, so you're sure to get something unique. With jewelry, Africa is best known for its handmade bead work. These African beads are often called trade beads due to the fact that for many centuries they were used as a form of currency and were exchanged for goods. The earliest known beaded jewelry ever discovered is from approximately 10, 000 BC and comes from Libya. Ancient Egypt also produced beautiful bead work dating back to 2, 200 BC. Beaded jewelery in Africa often says something important about the wearer. A necklace may even show where the wearer is from or what family they belong to. When looking at art in Africa, you will see artisans making the most incredible woven bracelets and other items from recycled products. There are many ways that this benefits African communities. Not just the money, but the experience and skills acquired in creating and selling the products; the cleaning of the environment; the artistic growth; and the value and satisfaction of creating something beautiful from very little. The Fulani (also called the Fulbe or Fula) tribe are well known for their jewelry crafting, especially their extra large gold twist earrings which can be up to five inches long usually made out of gold or silver. As is true with most African this quickly and thoroughly communicates the wealth and status of the wearer. Traditionally the nomadic Fulani, wear their wealth in their jewelry. They can carry this with them wherever they go; and be able to easily buy goods from other people they meet.